Just before a big snowstorm hit the Cedar Falls area during a January weekend, Sophi Franck noticed a quartet of new-born, freezing kittens in the grass near an area hotel. Not seeing the mom nearby, Franck cared for the two-week-old kittens before taking them to the Last Hope Animal Rescue in Cedar Falls where a different "mom cat' welcomed the orphaned babies. 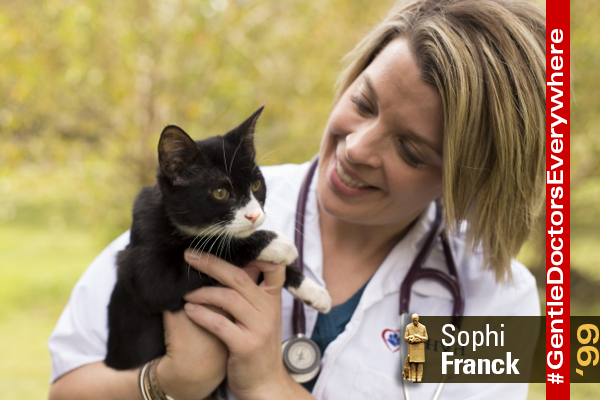 Franck is a clinician with the Den Herder Veterinary Hospital in Waterloo, Iowa. Franck's rescue efforts were highlighted in this Waterloo television report.